Does your cat or dog seem out of balance? Are you noticing changes in their weight, energy and mood, appetite or skin and coat? It could be an adrenal gland dysfunction. 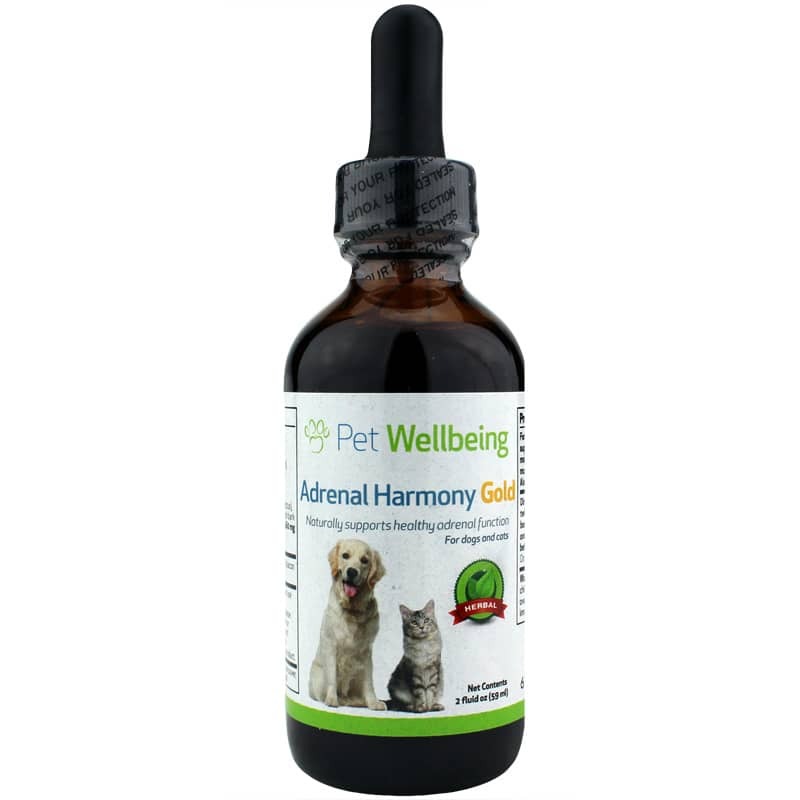 Help restore harmony to your pet and your home with Adrenal Harmony Gold from Pet Wellbeing.Adrenal Harmony Gold is a blend of full-spectrum herbal extracts developed by holistic veterinarians to support healthy adrenal function in cats and dogs. 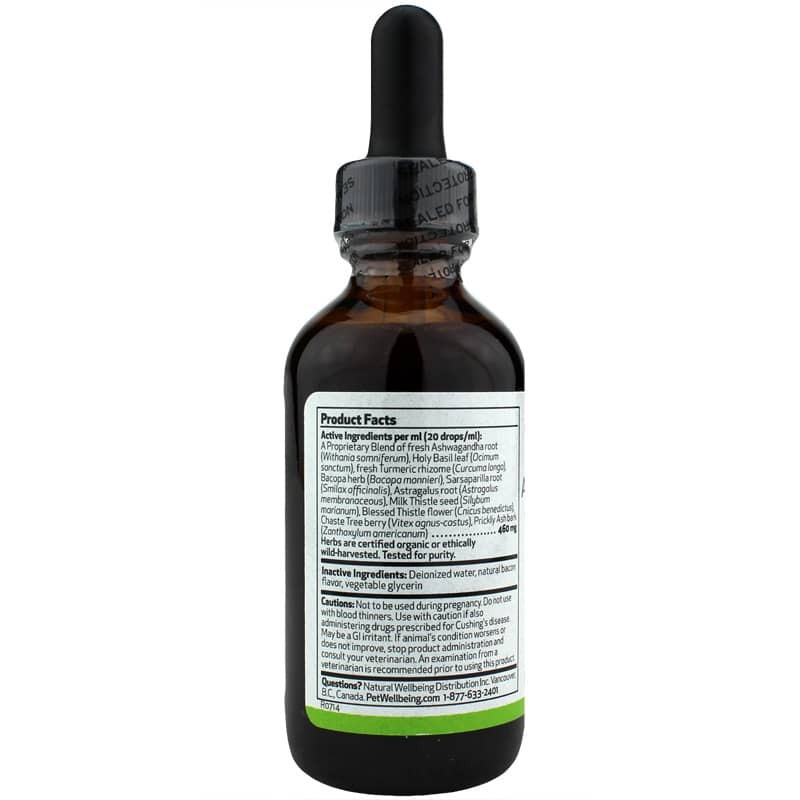 Herbs like ashwagandha, holy basil, turmeric, astragalus and milk thistle give this herbal supplement adaptogenic, antioxidant and nervous system supporting properties to help your pet's adrenal glands function normally in spite of a variety of stressors. 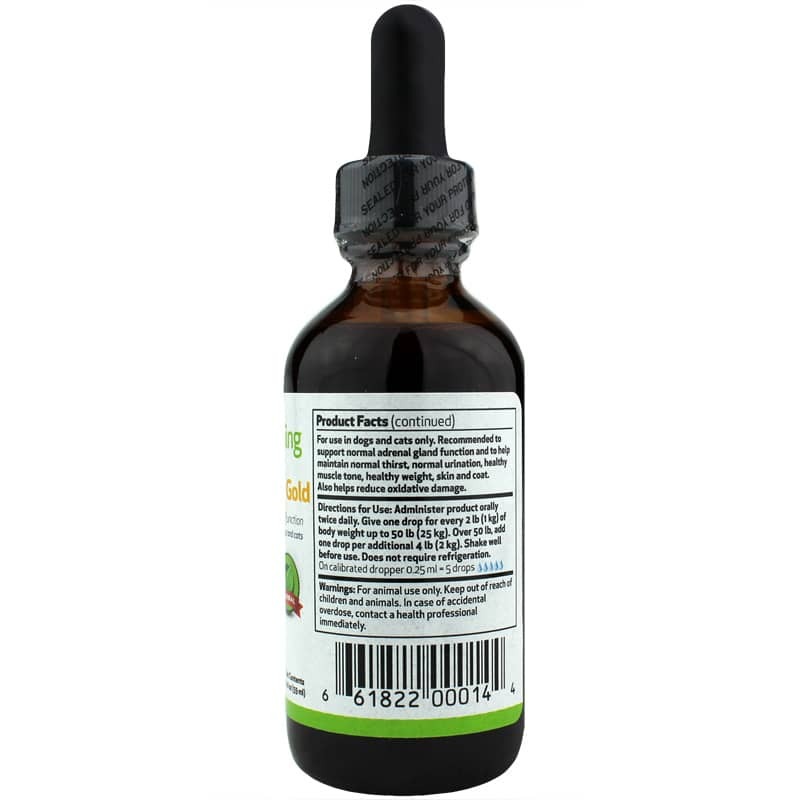 And for optimal quality, Adrenal Harmony Gold is 100 percent natural and made using certified organic, ethically harvested or selectively imported herbs with their full biochemical spectrum preserved. In addition, Pet Wellbeing products are made following Good Manufacturing Practices and each and every batch is tested for quality and potency. Help your pet feel more balanced with quality, natural support that works with their body. Order Adrenal Harmony Gold today. Not to be used during pregnancy. If animals condition worsens or does not improve, stop product administration and consult your veterinarian. may be a GI irritant. An examination from a veterinarian is recommended prior to using this product. Not recommended for use if your pet is taking blood thinners. For animal use only. Keep out of reach of children and animals. In case of accidental overdose, contact a health professional immediately. My 15 year old feist is well supported with Adrenal Harmony Gold. Hair on ears is back and she has a little pep in her step.